We, #Choice4Life Advocates – a team of 58 young professionals promoting Sexual and Reproductive Health and Rights of Women and Adolescents in Nigeria hereby demand an immediate release of our colleague – Mr. Simon Ateba by the Cameroonian authorities. 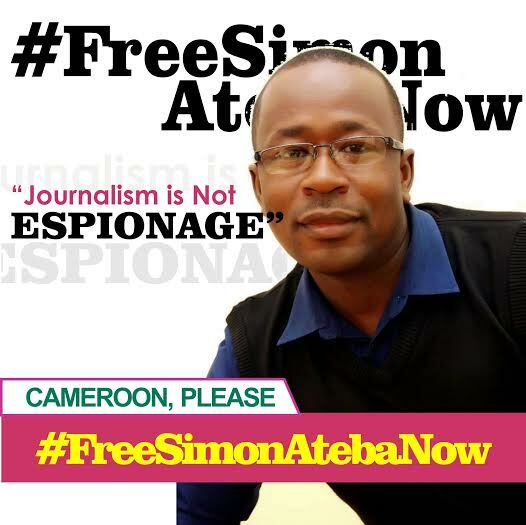 We read with utmost shock and dismay the reports of arrest and detention of our colleague – Mr. Simon Ateba. According to media reports, he was arrested on Friday, 28th August, 2015 at the Minawao Refugee Camp and taken to Makolo in the far north of Cameroon and has been accused of spying for the Boko Haram terrorists. When allowed to use his mobile phone for five minutes, Mr. Ateba alerted the world about his ordeal through his social media platforms. He said he has been told that he would be taken to Yaoundé, the Cameroonian capital, and handed over to the secret police to be tried for espionage. His whereabouts has since been unknown and concerns are being raised about his health conditions. Simon joined our group in November 2014 and has used his media platforms to promote reproductive health and rights of Nigerian women and young girls. Though a Cameroonian, he is a popular blogger/journalist who has worked in Nigeria for more than a decade. He breaks real time news stories using his blog www.simonateba.com and his facebook fanpage has over 15,000 followers. He was a former staff of The News/PM News – a reputable media outfit in Lagos. He has been a resourceful, inspiring and innovative young man who is very passionate about his job. Our i nvestigation reveals that Simon is implementing a grant from the Nigerian-based International Centre for Investigative Reporting (ICIR) as reportedly confirmed by the Executive Director, Dayo Aiyetan. He had a task to visit the Refugee Camp that accommodates people displaced by the insurgency in Northeast Nigeria and find about their living conditions. His reports, we believe, would have provided information on the sacrifices being made by the government of Cameroon as well as actions that could be taken to improve their living conditions. To us, Simon’s mission to his home country was noble, professional and lawful. #Choice4Life Advocates consider the allegations by Cameroonian authorities outrageous and bizarre. We also consider his arrest and detention ill-conceived and undeserved given that he had made futile attempt to get permission from the Regional Governor. It is a violation of his fundamental human rights and an attack on the media. Any responsible government is obliged to respect the right to freedom of expression and ensure that journalists are free to carry out their legitimate duties without hindrance, intimidation or threat. We appeal to the African Union and the international community to prevail on the authorities of Cameroon to release him immediately and unconditionally. 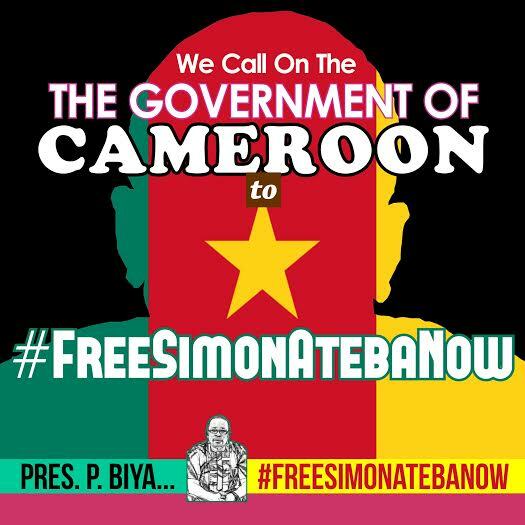 We hereby join the Cameroon Journalists Union and other well-meaning groups and individuals to demand that the authorities #FreeSimonAtebaNow!